This was my first session back after my maternity leave and what a nice way to ease back into it. I love this family and home sessions! During home sessions there is little stress because there is no bags to be packed or rushing out the door. Snacks are close by and the kiddos love showing me their room and all their cool toys. Everyone is just more relaxed and family pictures take on a whole new light. Bringing a little one into the world is a moment in a families life that is magical but exhausting and whether you like it or not over in a blink of an eye. I feel honored to be able to give them a ticket back to this precious time in their lives. I’m so glad the timing worked out and I had the opportunity to meet Kate and hangout with you guys. Congrats, she’s beautiful. Newborns and their sweet random smiles. Ben gave me a tour of his room and showed me his three best friends. Elizabeth said that this is how he always carries them around. Daddy’s little girl and always will be. kim - Awwww — LOVE home sessions!! Kate is adorable — all that hair! I love the image of little Ben with his BFF’s! It’s so awesome that they’ll have these images forever to remind them of this time that goes so fast!! Great work! Maike Pulliam - Jessica, you are so good. This session is beautiful! Justina - What a great home session, these images are spectacular! Oh my goodness, there is so much love in this family and you really captured it, very sweet. shannon - in LOOOVE with these!! so darn perfect!! and that baby smile!? melt my heart. such a beautiful, happy moment in their life and you captured it perfectly. Natalie - SO SO many favorites!! The detail shot of mama and Kate’s hands, I swoon. And, little dude, Ben is absolutely adorable!! Tsone - Those black and whites though?? To die for!!! Your photos always make me so happy Jessica, and these totally knocked the rest out of the park. Amazing!! Micah - Oh my gosh!! That b&w of her smiling is PERFECTION!! Love how real life this session is. Great work! Julina - That is one of the prettiest mama’s Ive ever seen! What a sweet little family! These are amazing! Gisselle - What a gorgeous family!! I love this session. My favorite is where Kate is smiling at mama. just precious! Angie - These are beautiful!! Sessions like this are such a treasure and will mean so much to these kiddos when they’re older. 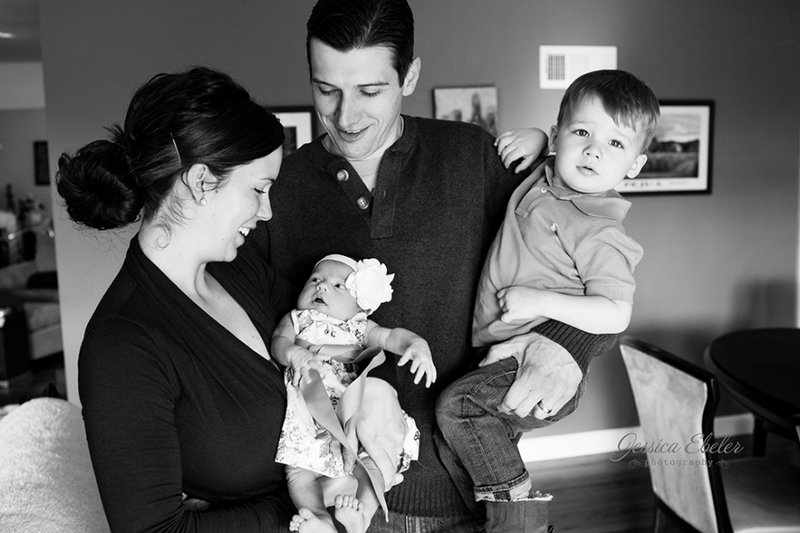 Great job capturing those fleeting newborn days for this family!